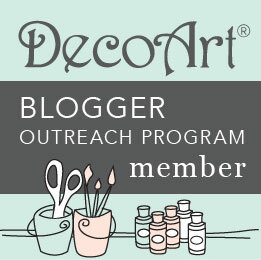 I have another treat for you today!! Ok, I had to make them first, but making them was the best part!! And because of it I'm able to share with you another tutorial!! Yay!! This is a revamp on an older tutorial I did a couple years ago around Christmas. 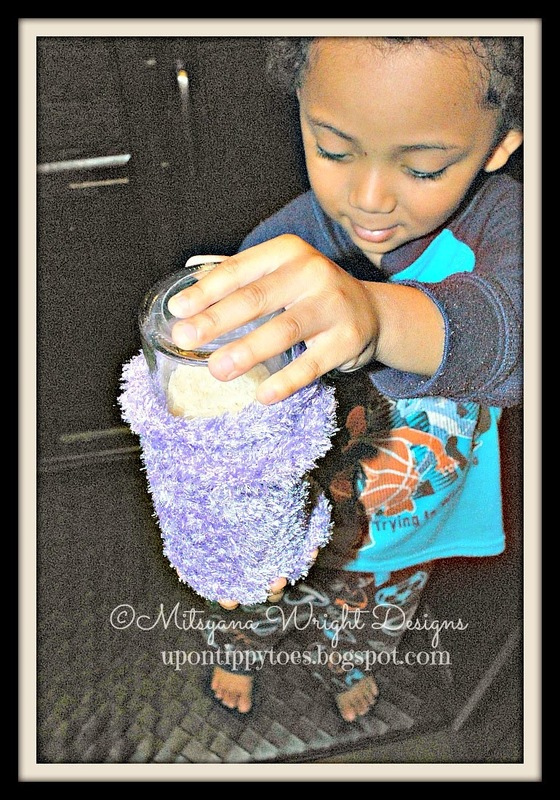 Remember that one Christmas that every crafty mommy(and their grandmother) went on this Sock Snowman making frenzy? Yup, I was one of them.But I did my sock snowmen with a twist! Let me explain... You see, after I made my first snowman (which came out great) I felt the need to be different... It's just in my nature! I mean, it was cute... but only as cute as the next one.. or the next one... or even the next one after that. Everyone (and their grandmother) was making the same darn thing. So that is when I decided to make different animals and not just a snowman... You can read more about it HERE. Anyhoo, where was I go with this?! Oh yeah... revamped sock snowmen... If you did read the original post about them, you would know that I added a sock penguin, bear, and mouse... and then I promised to make more sock animals soon... yeah, it didn't happen and life got in the way and I got side-tracked! But I am happy to say that I am finally adding to my SOCK FAMILY!! 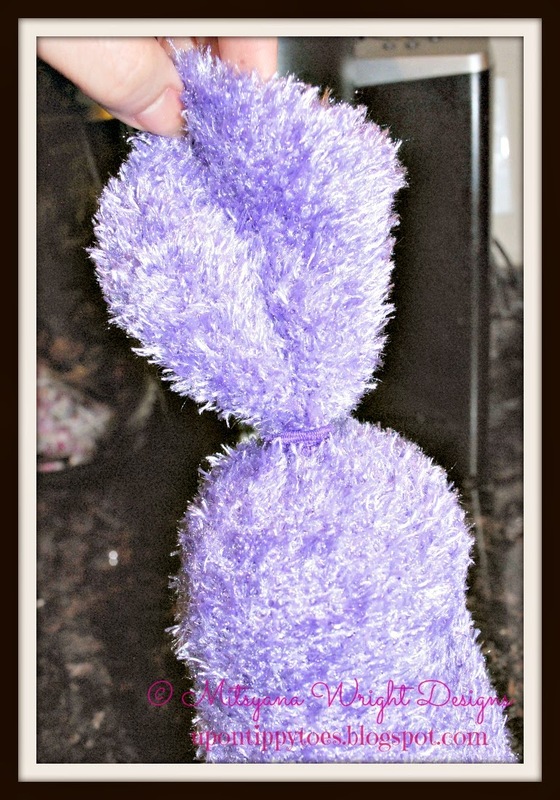 And here it is, the SOCK BUNNY!! Aren't they cute! They make great teachers gifts!! But not these, these are going to my children!! 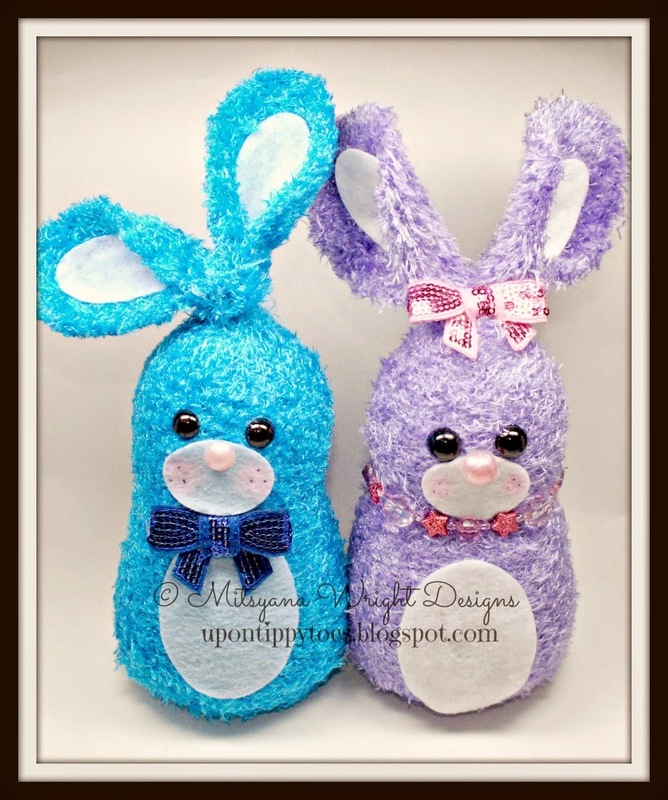 I'm making each one of them a bunny to put in their Easter baskets. If you plan on giving your small ones one of these as a gift just be advised... there are small pieces and that playing with them should always be under close adult supervision! Don't not let your little ones chew on the the small pieces they could detach and become a choking hazard! As with all small toys... please play with caution! OK, NOW ON TO THE TUTORIAL!! 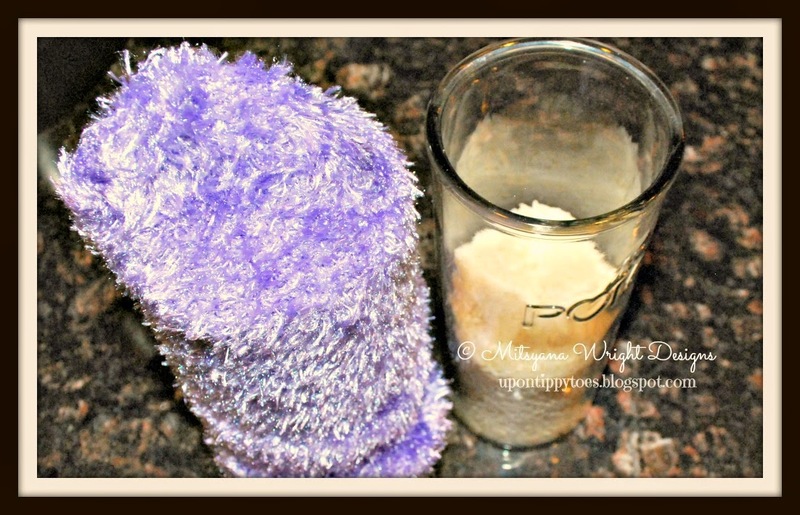 Pour rice int tall glass or cup. 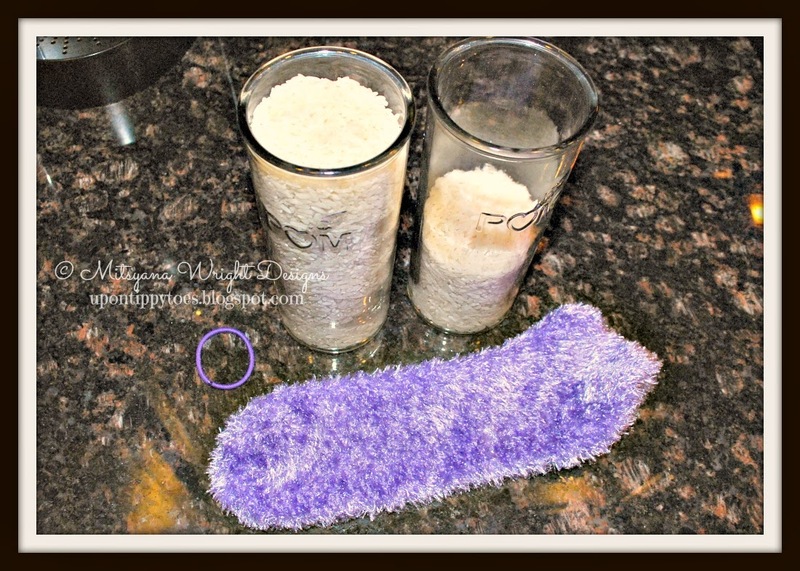 Flip cup over and empty rice into sock. This would be a good time to get your tiny helping hands involved... again, it's totally optional. But this is a great way to have your children involved in arts and crafts! They can be your little "helpers" , it make them feel special having an important job. Gather the sock where the rice ends and secure with hair tie. 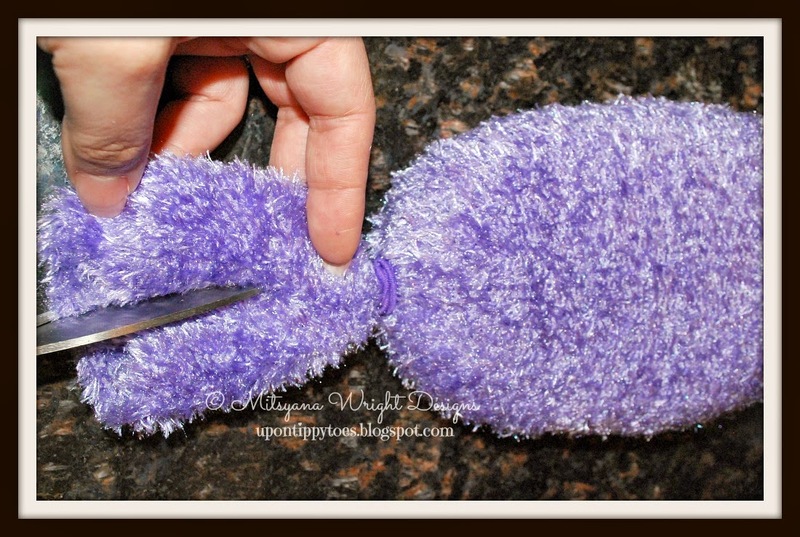 With your kitchen shears cut down the center of the remaining sock fabric, going towards the hair tie. Stop just before the tie. Do not cut the elastic.. it is what is holding all that rice in!! Also, round off the two (now cut "ears"). This makes them to look like floppy bunny ears. It should look like two big, slightly connected ovals. 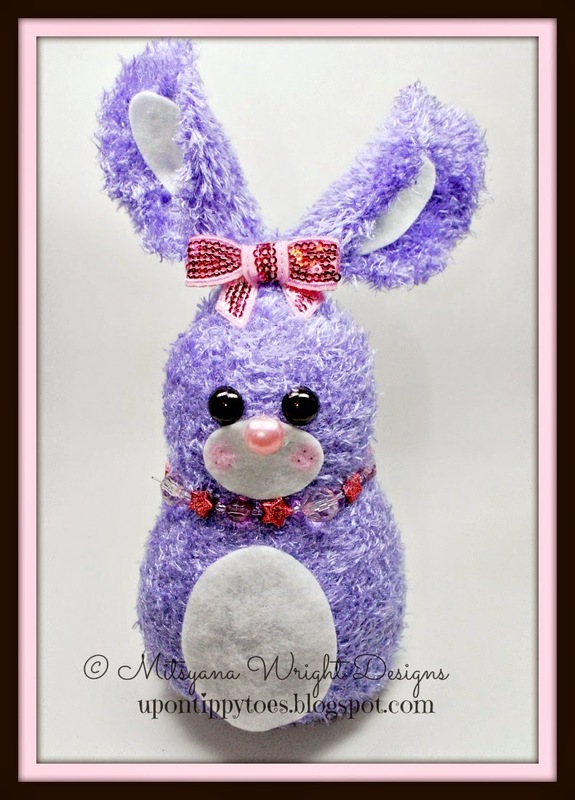 You have now just made the base of your bunny!! Yay! 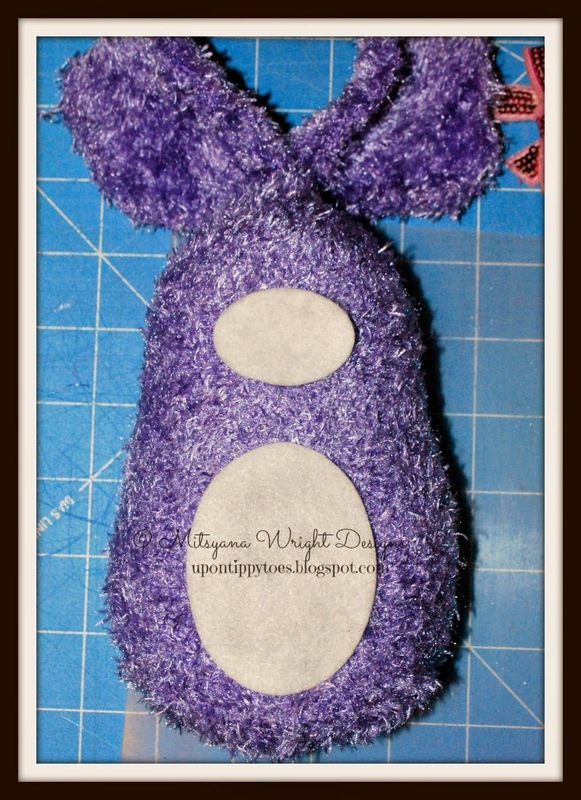 Now that this is complete cut out your bunny parts from felt using the "Body Part Template" I created. You can download it for FREE here . 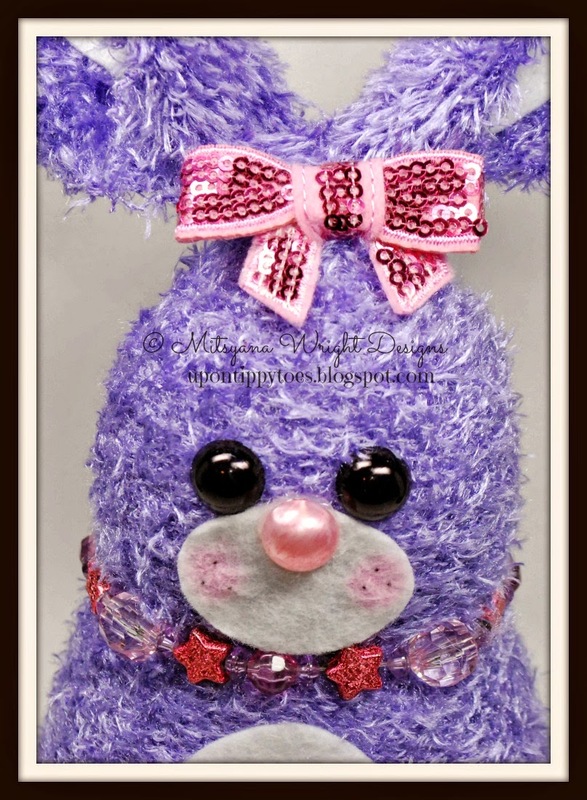 Take your bunny base, felt bunny parts, pom-pom, buttons, and ribbon. And Start gluing them down. The smallest oval is for the muzzle/ snout and the biggest is for the belly. The two long and narrow oval are for the ears. 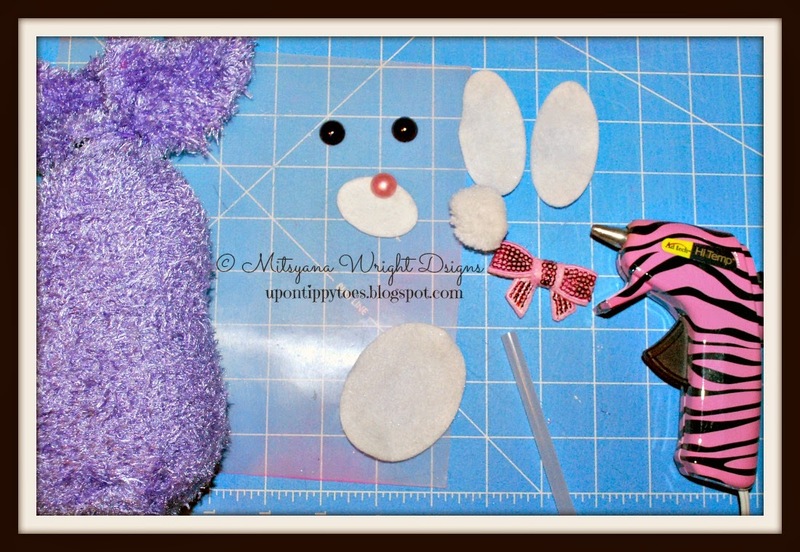 Glue one oval to the center of each ear. Then place a pea-sized dot of glue on the end of the ear closest to the end and pinch close creating a crease. This will help stiffen the ear and help stand them up. 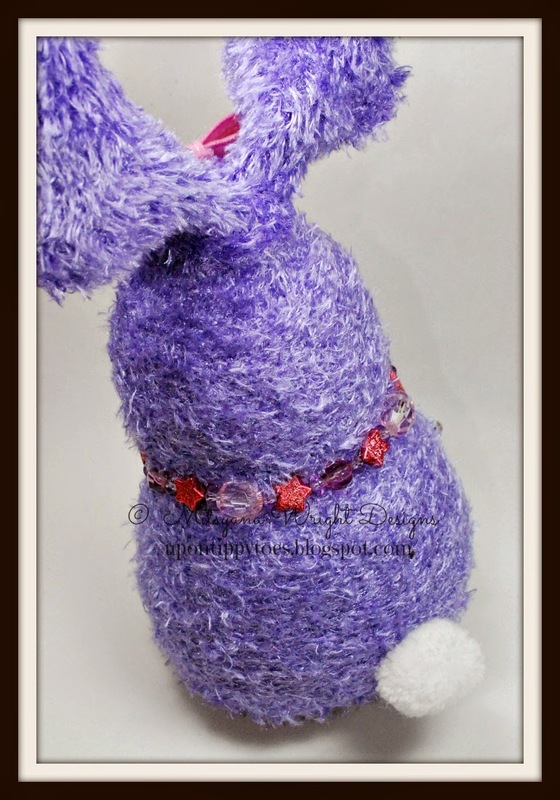 Don't forget to turn him over and glue down the pom-pom tail!! Then add eyes, nose, and ribbon/bow. You can also accessorize with a child sized bead bracelet as a little necklace. I finished her off by adding some pink chalk to her cheeks with a cotton swab and drawing few black dots giving her a more complete face. And there she is! isn't she adorable!